A rise in the sale of lentils and grapes, traditional symbols of good luck to be eaten on New Year’s Eve, has been reported as Italians prepare to see in the New Year, farm group Coldiretti said Tuesday. It released the results of a survey showing that two out of every three Italians intend to eat New Year’s Eve dinner at home, planning to spend an average of 76 euros. Of the 64% of Italians celebrating at home, rather than in an restaurant, the numbers are evenly split between those staying at their own home, and those celebrating at the homes of friends or relatives. The survey, conducted by Ixe for Coldiretti, also found that of those Italians celebrating the end of the old year and welcoming 2015, about 9% intend to go to a restaurant and about 5% plan to visit a rural inn or agriturismo. While sparkling wine and panettone are traditional New Year’s fare, some 78% say they will also eat lentils for luck and almost three-quarters will also eat sausage. Coldiretti said that consumption of local products, particularly those drawn from within one kilometer of the diner, has increased by 9% while 43% said they will favour products from close to home. Some 50 million bottles of spumante will be consumed, favored by 89% of those surveyed while only a little of 10% said they would prefer champagne. The following article appeared in The Washington Post. It is very interesting and gives an excellant account of the process of disgorgment. 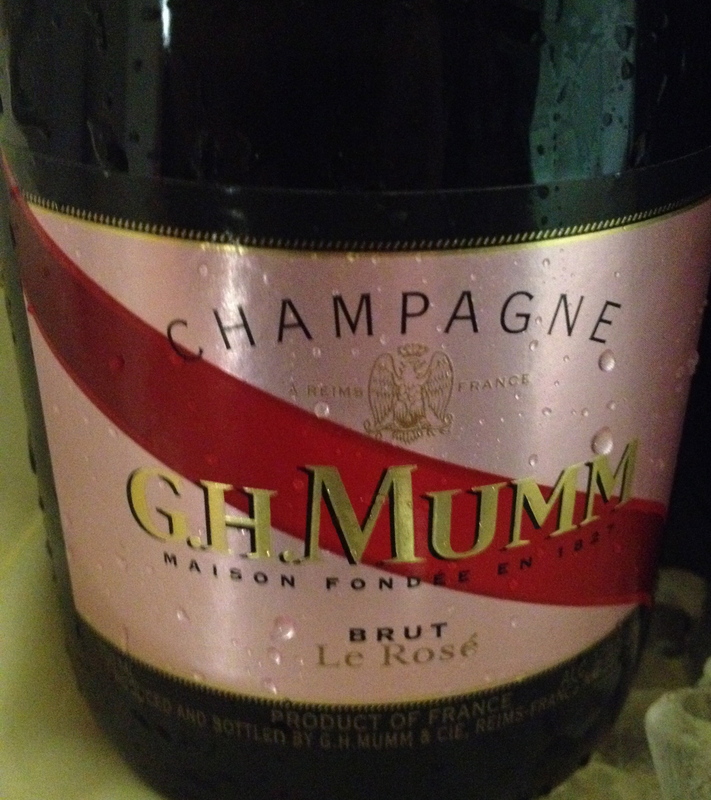 How old is your nonvintage champagne? Look to the back label. 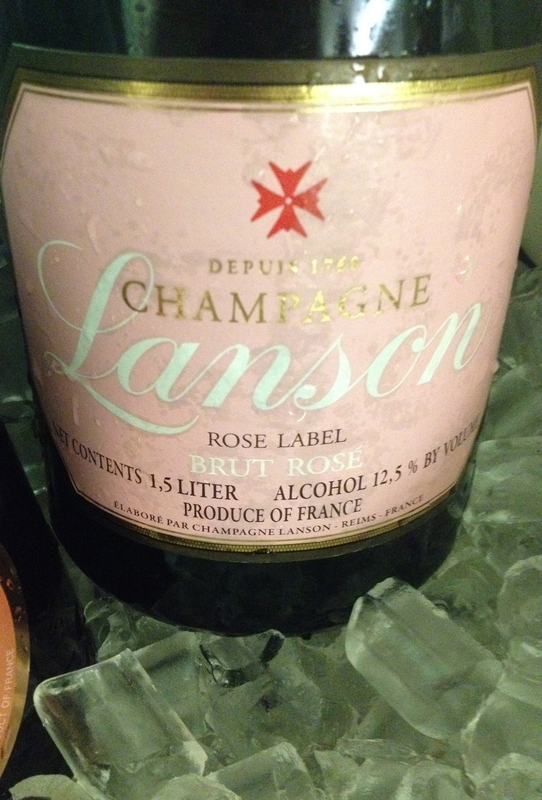 Most sparkling wines, like discreet ladies of our mothers’ generation, don’t tell us how old they are. Those are “non-vintage” wines, with no year of harvest listed on the label because they are a blend of wines from several vintages. (Some people prefer to call them “multi-vintage” wines.) 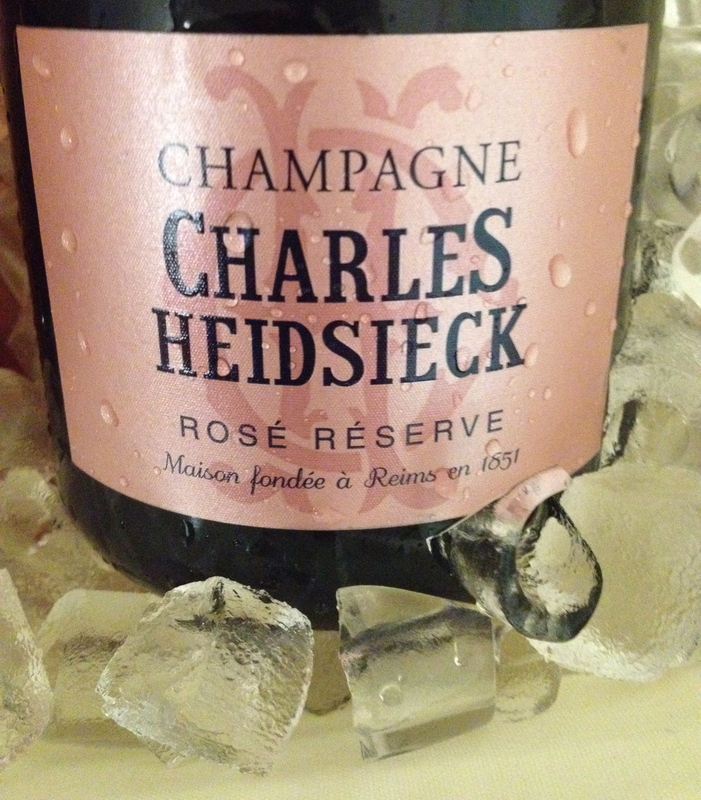 In a fickle northern climate such as Champagne, France, where the technique was perfected over centuries, vintners cannot count on producing a high-quality vintage-dated wine every year. Blending different years together helps create a house style that can be consistent despite the vagaries of annual weather patterns. So when we go into a store to buy our New Year’s bubbly, we usually have no idea how old it is. We don’t know whether it’s a fresh batch from the producer or whether it has languished for years in a warehouse or a storefront window display. If you’ve ever been disappointed by a bottle of your favorite champagne because it didn’t taste as bright and fresh as you remembered, you might have purchased an old bottle. To give consumers more information about the wine they’re buying, some producers have started listing disgorgement dates on the back label. 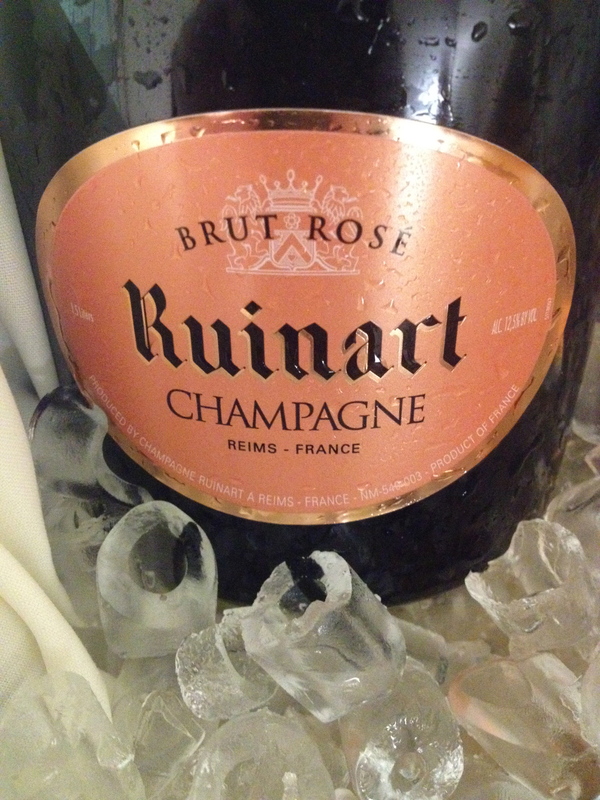 Disgorgement, or “dégorgement” in French, is the last step in the traditional champagne process of sparkling-wine production. 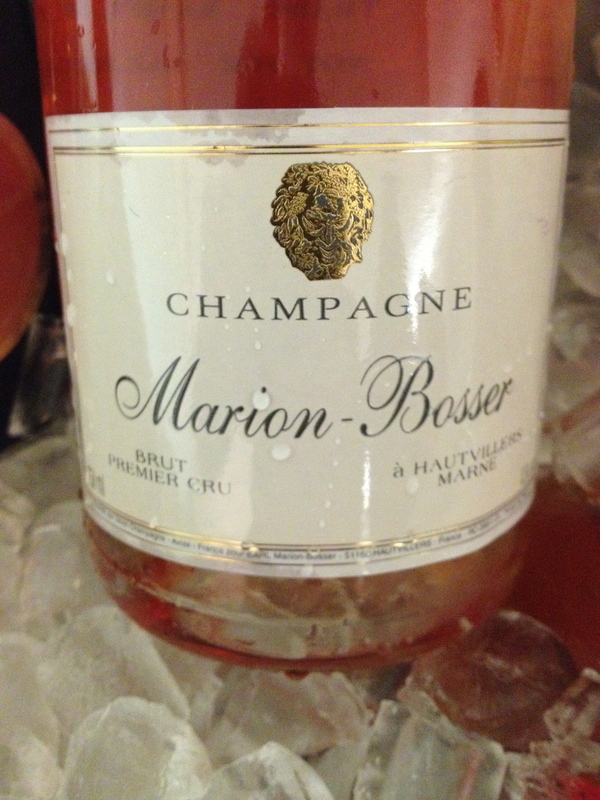 After the secondary fermentation that produces the bubbles and the aging on the lees that gives character, the spent yeast and lees are removed, the wine is topped off to balance its sugar level (“dosage” in French) and the familiar champagne cork is inserted. By knowing when the wine was disgorged, we know how recently it was in the producer’s hands and can gauge — or at least guess — how fresh it is. Listing disgorgement dates is by no means a widespread practice, and it is controversial. 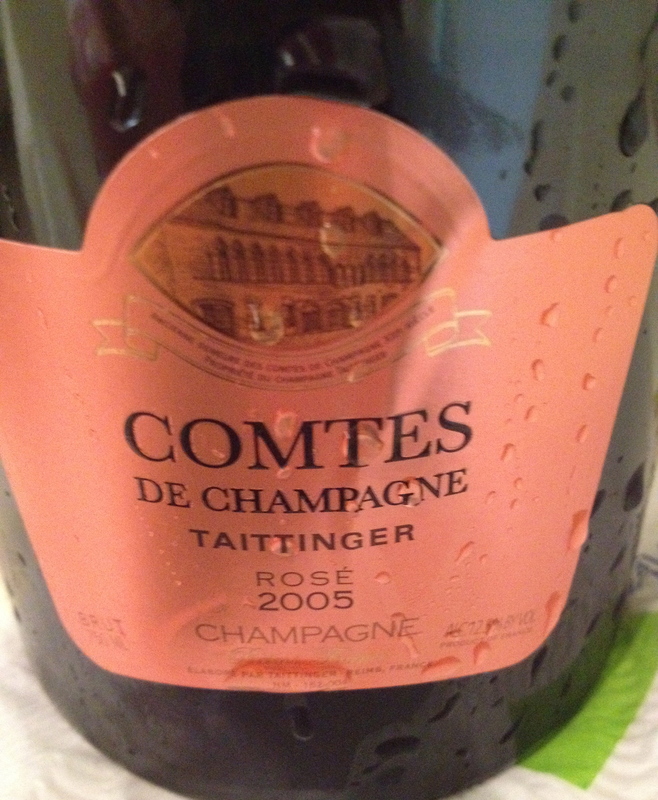 Some champagne houses imprint a code on the bottle or the back label, and the Alan Turings among us might be able to decipher the enigma of the disgorgement date. The Krug champagne house began putting “Krug ID” codes on its back labels a few years ago; you can enter the code on the Krug Web site to learn your champers’ story. Some houses will tell you the disgorgement date if you ask, or it might be disclosed in a QR code or looked up on their Web sites. 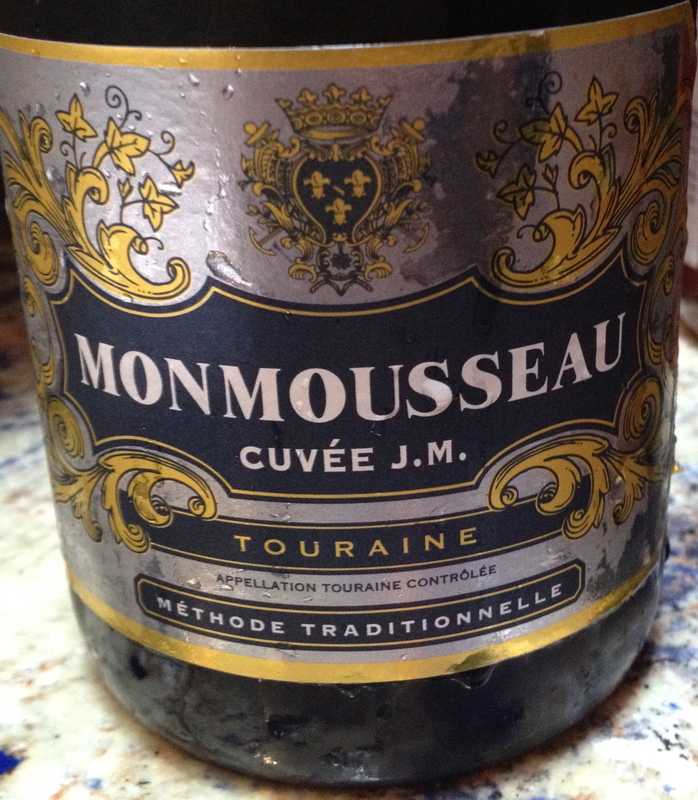 Some producers give disgorgement dates for their vintage wines but not their non-vintage cuvées. He’s probably right. Most people don’t care how their wine is made, as long as it tastes good. So does it matter when it was disgorged? I conducted an enjoyable experiment recently, tasting two bottles of Pascal Doquet’s Blanc de Blancs Grand Cru Brut champagne. 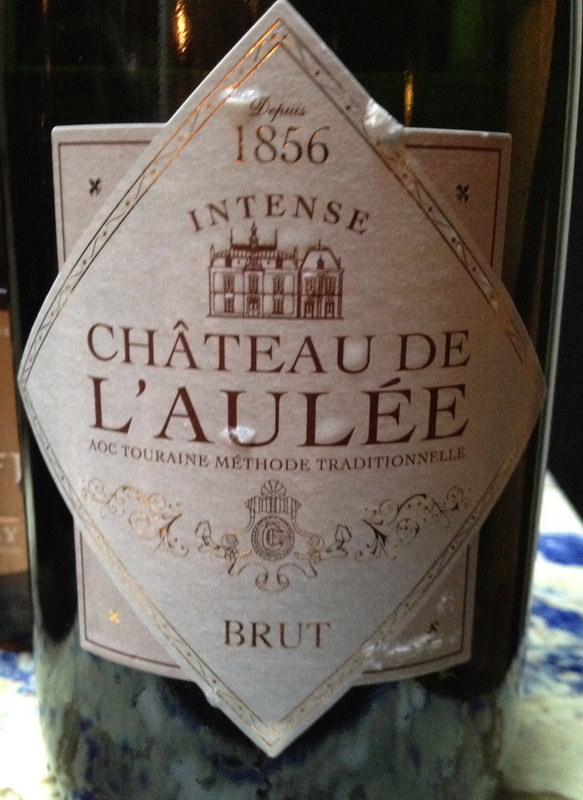 The wine is not vintage-dated but does include the disgorgement date. I had a new bottle (which I recommended two weeks ago in this space) that was disgorged on July 3, 2013; the label explained that it was a blend of 2003, 2002 and 2001 vintages. 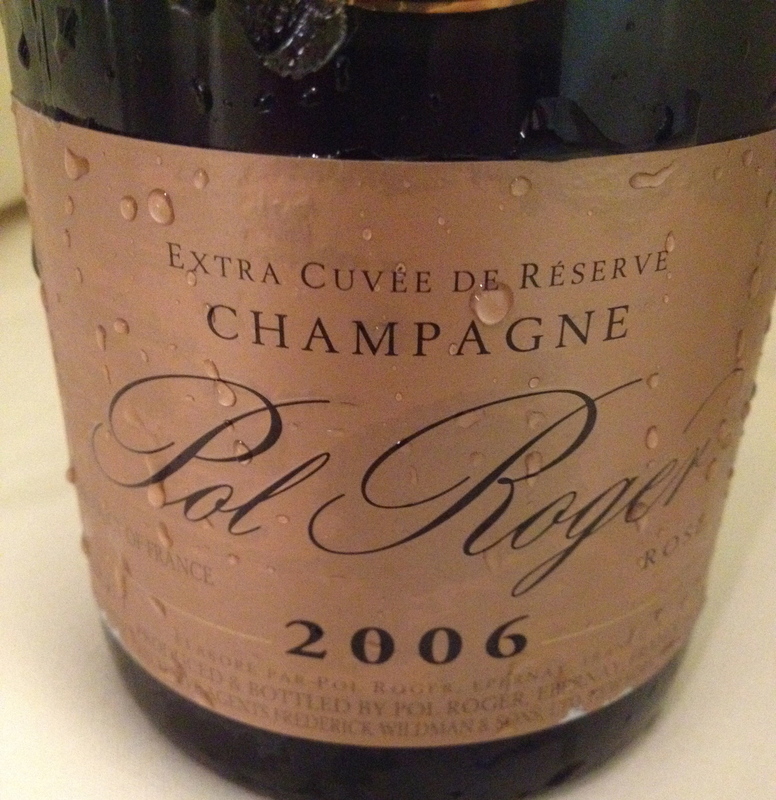 (Champagne fiends will note that the wine was therefore aged on its lees for about nine years, much longer than the required 15 months for a non-vintage blend.) 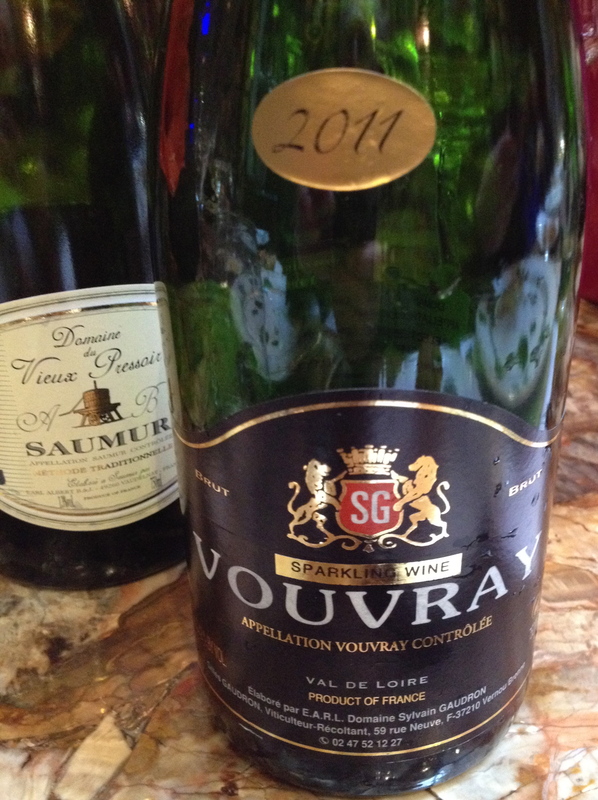 The older bottle that I plucked from my cellar had no information about the vintages but gave the disgorgement date of 080722, or July 22, 2008. Both were delicious. 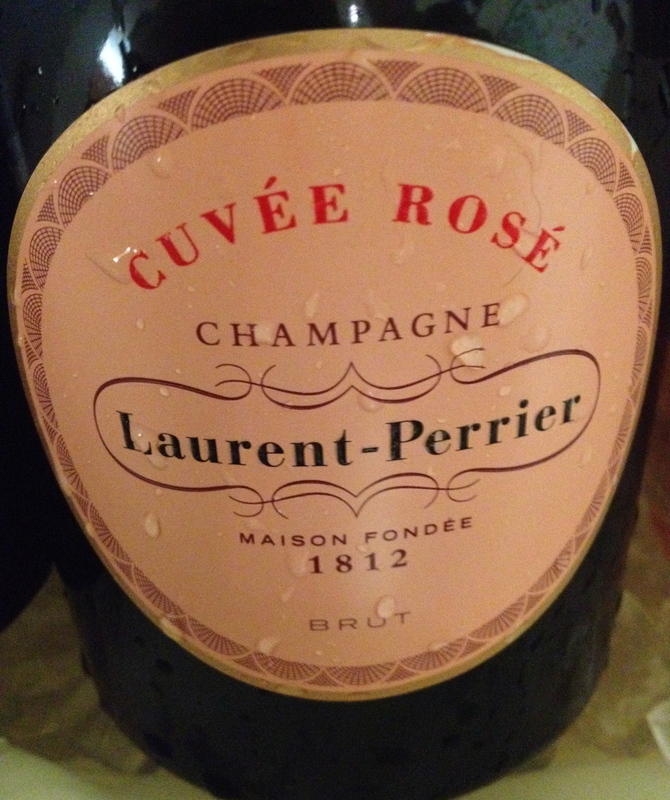 The 2013 was fresh and vibrant, while the 2008 was more golden in color, richer in flavor and calmer in its fizz. It had aged nicely in the imperfect storage conditions of my basement. I would not have rejected the older wine if it had been served to me at a restaurant or if I had bought it in a store. 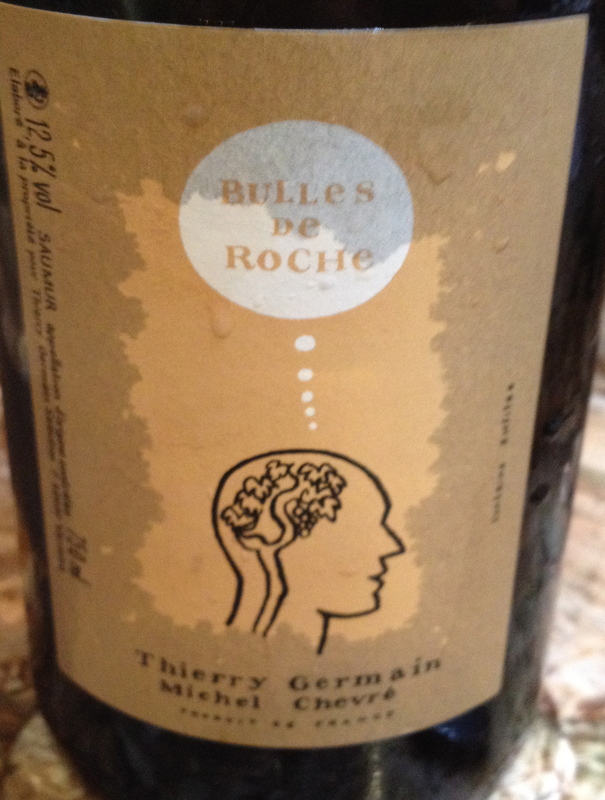 But I appreciated the clear information on the back label of the younger wine. 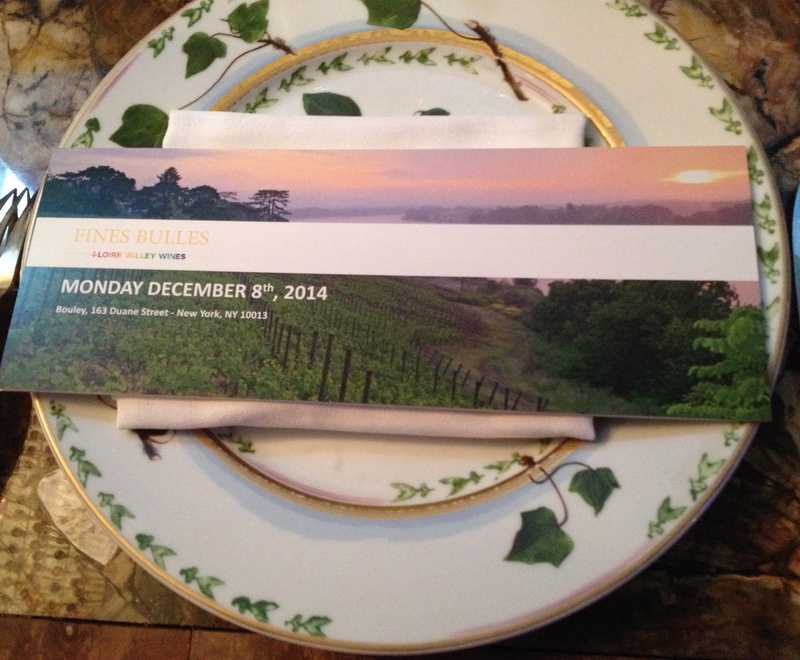 It made the wine more accessible by offering a glimpse of how it was crafted. More producers should do so, rather than keep their wines cloaked in secrecy. MILAN — It’s the day before Christmas. Renzo and Lucia are in their shiny new Alfa Romeo, on the way to their grandparents’ apartment in central Milan for the traditional Christmas Eve family dinner. Everybody is smartly dressed. Grandma’s vintage red Valentino dress smells faintly of Acqua di Parma. Grandpa, resplendent in his Loro Piana cashmere sweater, is relaxing in a Poltrona Frau armchair. Aunt Stefania looks radiant in a black Gucci gown. And what a spread they’ve put on! 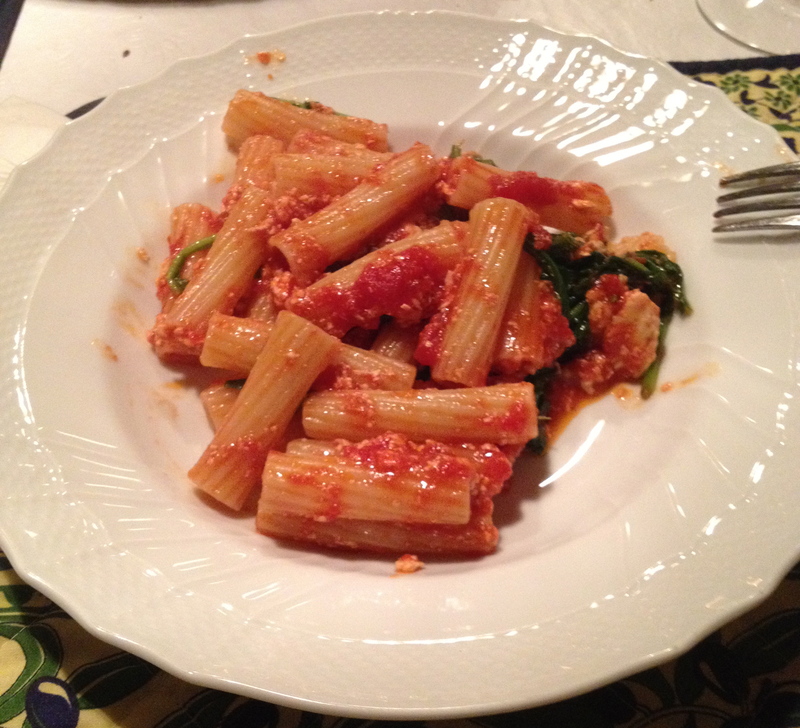 Classic Buitoni rigatoni — what would Italians do without their pasta? — followed by salad dressed with Carapelli olive oil. To drink, a bottle of Chianti Gallo Nero. And of course some San Pellegrino mineral water. After a taste of the traditional Italian Santa Lucia mozzarella, there’s the greatest of all Milanese classics: Motta panettone cake with Gancia spumante wine! Coffee, as usual, is served with Baci Perugina chocolates for everyone. And there’s a special surprise gift for Lucia — those Bulgari earrings she always wanted. Christmas Eve doesn’t come more Italian than that! Does it matter that none of these products are Italian-owned anymore? Alfa Romeo, founded in Milan in 1910, is now part of the Netherlands-based Fiat Chrysler Automobiles, or FCA. The Valentino fashion house has been sold to Qatar’s Mayhoola for Investments. Acqua di Parma, in business since 1916, now belongs to the French luxury group LVMH, as does Loro Piana. Poltrona Frau, established in Turin in 1912 by Renzo Frau, was sold last February to Haworth, an American furniture company. Guccio Gucci set up shop in Florence back in 1921, but today his company is part of the French Kering group. Pasta Buitoni, which has been going since 1827 and is named after its founder, Giovanni Battista Buitoni, is the property of the Swiss conglomerate Nestlé, which also owns San Pellegrino. And so on down the list. Many more iconic Italian brands have been sold to foreign companies recently. Ducati, which has been making motorcycles since 1926, is now owned by Germany’s Audi. Peroni (beer, 1846), was bought by the South African beverage giant SABMiller in 2003. Pernigotti (chocolate, 1868) currently belongs to the Turkish Toksoz group. Fendi (fashion, 1925) went to the French luxury group LVMH in 1999. Even many brands that don’t get much recognition outside the country are Italian no more — Plasmon, which has been providing Italian mothers with baby food since 1902, is now owned by Heinz; Algida ice cream is part of the Anglo-Dutch Unilever group; and Star, a pasta sauce found in almost every Italian kitchen for decades, is now owned by Spanish food group Gallina Blanca. Globalization is hardly unique to Italy. And yet the gobbling up of so many of our beloved and time-tested consumer brands is noteworthy, and a bit unsettling. Part of it is, of course, Brand Italy itself: Foreigners have been quick to spot the potential of anything associated with Italy and market it around the world. Italy reminds people of life’s pleasant things — art, music, good food, great wine, chic design and an enviable lifestyle. And if you want to set a soothing mood at the restaurant, skip the Gewürztraminer and order Brunello di Montalcino (remembering to pronounce it “Mon-tal-CHI-no”). 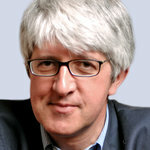 Many so-called Italian products are not even designed or made in Italy. America imports just $2 billion in Italian food goods a year, but “Italian-sounding” goods in the United States are worth $20 billion. And that’s just the food sector. Around the world, the figures are $54 billion, against $23 billion in exports. Grana Padano and Parmigiano-Reggiano cheese are the most imitated food types: Americans have Parmesan, Brazilians nibble Parmesão and Argentines chow down on Reggianito. The endlessly negotiated Transatlantic Trade and Investment Partnership, which aspires to create a free-trade zone between Europe and North America, is going to have to deal with this, one way or another. Of course, plenty of Italian companies realize the potential of the Italy brand and have become household names abroad without selling out to larger groups: Think Prada, Armani, Campari, Barilla, Ferrero Nutella, Pirelli and Jacuzzi. One newcomer is the Verona-based company Giovanni Rana, whose fresh pasta business is growing at 20 percent a year, with most of its sales abroad, and 18 percent of its sales in the United States, where it just clinched a deal with Walmart. Last year in New York, the company opened a store called Pastificio and Cucina, where customers can buy fresh pasta to go or eat on the spot. There’s a telling detail about Rana’s American expansion that might explain a lot about the migration of Italian brands, and their manufacturing, overseas. Rana’s new plant in Illinois was fully operational in seven months. Thanks to dense regulations and slow contractors, expanding the original factory in Verona took seven years. Could that be the reason so many Italian brands seem to prefer living abroad? Something to think about at this time of year!! NAPLES, Italy — One azure morning in December, Laura Cozzolino arrived at her corner cafe in central Naples and ordered her usual: a dense espresso, which arrived steaming hot on the dark marble counter. Naples is a city well known for its grit, beauty, chaos and crime. Despite those things, or perhaps because of them, its people are also famous for their solidarity in the face of hardship. In a time of hardship, Italians can lack many things, but their coffee is not one of them. So it may be the most common item left at many cafes, as a gift, for people too poor to pay. 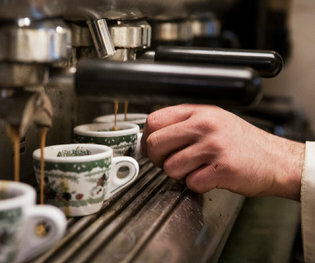 More than 90 percent of Italian families drink coffee at home, and there is one coffee bar for every 490 Italians, according to Illy, one of Italy’s leading coffee producers, and a local organization that studies food and drinks. Espresso comes in seemingly infinite forms: ristretto (strong), lungo (more water), macchiato or schiumato (with a bit of milk or milk foam), or corretto (a kick of liquor added). Drinking one is an act rigorously performed standing at the counter for a few quick minutes. It naturally sets the passing hours of the day. It is both an intimate and a public ritual. Many bartenders attribute a soul to the coffee-making process and take pride in knowing their customers’ preferences, even before they lay an elbow on the counter and start talking about the sun — or lack thereof — or complaining about the government. That solidarity is spreading. In 2010, an ensemble of small Italian cultural festivals gave form to the tradition of generosity by creating the Suspended Coffee Network. The purpose was to weather the severe cuts to the state cultural budgets by organizing and promoting their own activities together. But it also started solidarity initiatives for those in need. Encouraging a donated coffee was one of them. Now, across Italy, the bars that have joined the network display the suspended coffee label — a black and brown sticker with a white espresso cup — in their windows. In participating coffee bars, customers might toss receipts in an unused coffee pot on the counter, where the needy can pull them out and use them. 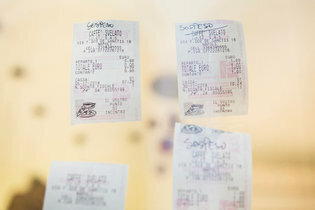 In others, customers pay in advance for an extra coffee, and the cafe keeps a list or hangs the receipts in the shop window. As the most vulnerable increasingly feel the pinch of Italy’s long economic crisis, bars in some southern towns have started inviting customers to pay for a sandwich — or more — for those in need. This year, Feltrinelli, a large bookstore, encouraged clients to buy a book and leave it for destitute readers who could then go and collect it. Likewise, in 2012, a pizzeria in Naples, Da Concettina ai Tre Santi, created the suspended pizza logo and printed it on its paper tablecloths. Each week, it manages to deliver around 15 free pizzas for the poor. But in Naples, with its rich diversity of neighborhoods, coffee bars hold a special place as gathering points for all: senators, families with grandchildren, street artists, businessmen and beggars. “Coffee in Naples is an excuse to dialogue, to tell stories, not like in other more hectic Italian cities,” said Bruno La Mura, one of the owners of theSpazio Nea art gallery, exhibition room and coffee shop, which has offered suspended coffees since it opened in 2012. Even before joining the Suspended Coffee Network, some Neapolitan cafes embellished the tradition on their own. 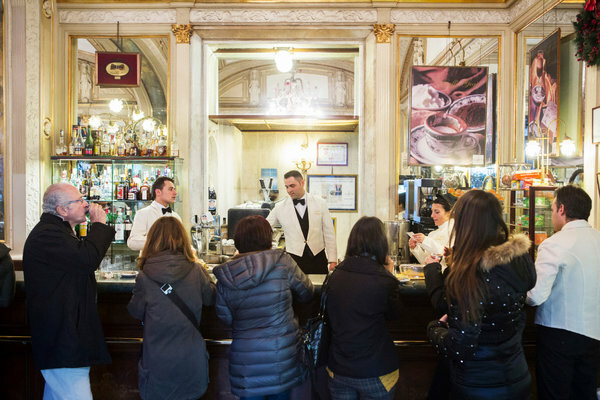 At Gran Caffè Gambrinus, a 154-year-old cafe in Naples, in 2009 the managers began displaying an old, oversize Neapolitan coffee pot, a local version of the kind in almost all Italian homes. They leave the lid open, with explanations in six languages — and in Neapolitan — of what a suspended coffee is and how clients can contribute one by dropping a receipt inside. Of more than 1,500 espressos it serves on average every day, about 10 are left suspended by customers, said Sergio Arturo, one of the owners. About five people come every day and stick their hands in the coffee pot and take a receipt, a number that has increased in the past year or two, he said. Almost everybody in Naples seems to know what a suspended coffee is, though not all bartenders have served one. In Naples’s old quarter, an area heavily visited by tourists, Caffè 7Bello serves about 1,000 suspended coffees a year, mostly to older people, migrants and the Roma, the owner, Pino De Stasio, said. It is in the building where the 20th-century thinker Benedetto Croce once lived, on a street that is today lined with souvenir shops and pitchmen selling lucky horns made in China for a euro. That is where Ms. Cozzolino left her suspended coffee. 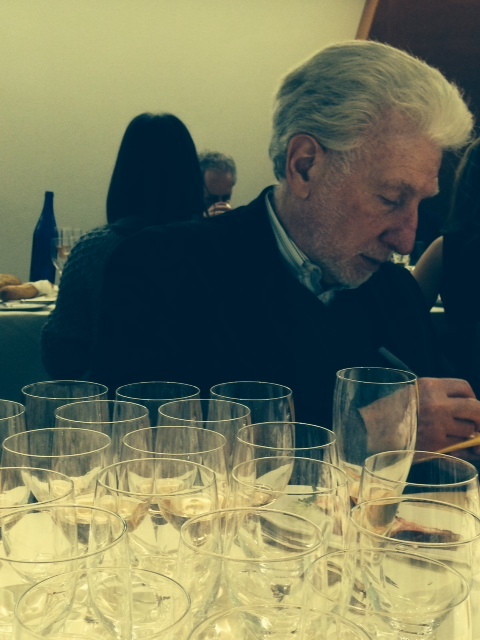 An invitation for lunch and a tasting of 12 sparkling wines from the Loire Valley at Bouley in New York City seemed like a perfect opportunity to experience these very interesting wines. Bouley Restaurant is one of my favorites and though I had visited the Loire Valley only once, I enjoyed my stay there and liked the sparkling wines. The speaker was Christy Canterbury M.W. 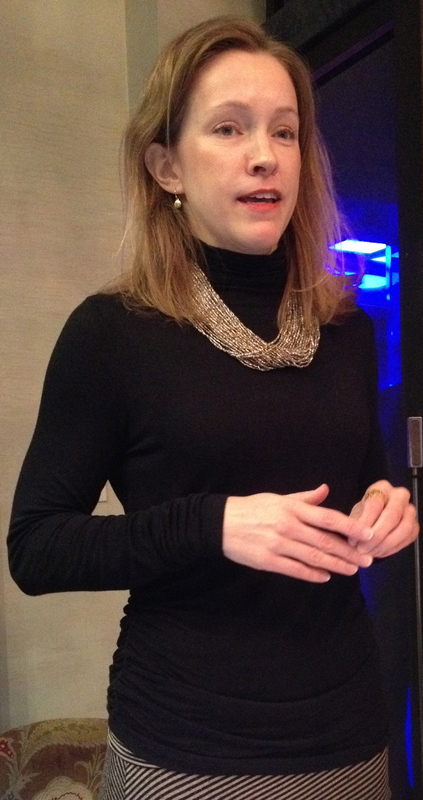 She began by speaking about the Loire Valley and gave some background on the wines. The Loire Valley is a UNESCO World Heritage Site and the third largest AOC vineyard in France. 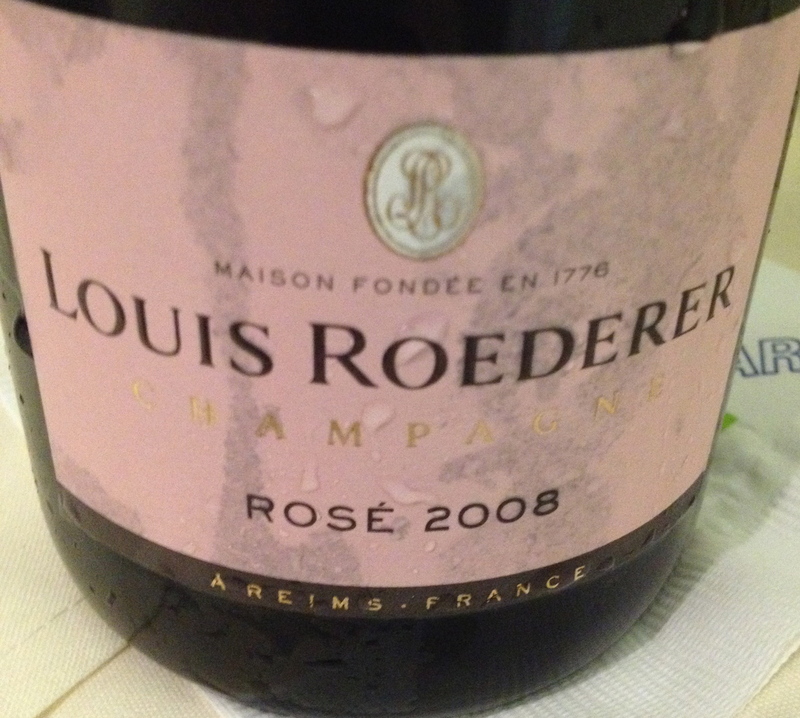 It is also the leading region for “fine bubbles.” The area extends from the Atlantic Ocean to the borders of Touraine along the Loire River, the longest river in France. It is one of the most northern wine regions in Europe. The terroir is the “tuffeau,” a soft porous, chalky (limestone) sub-soil. Christy pointed out that the limestone was used to build the region’s castles. 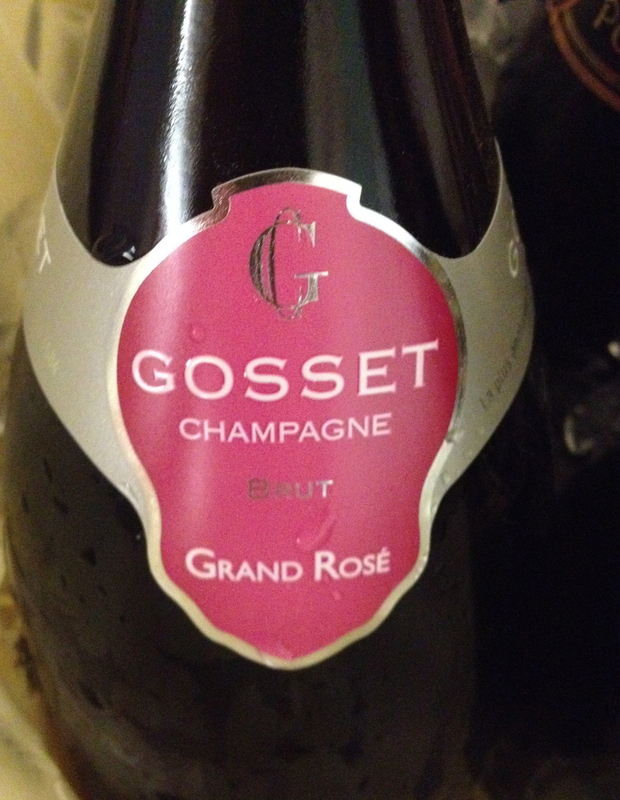 The main grape used in these sparkling wines is Chenin, but 11 others can be used, among them: Cabernet Franc, Chardonnay, Cabernet Sauvignon, Pineau d’ Aunis and Gamay. Vouvray: The appellation starts on the eastern edge of the city of Tours and includes 8 communes on the right bank of the Loire River and its tributary, La Brenne, covering 2,100 hectares. The vineyards cover stony slopes over a sub soil of tuffeau, punctuated by converging valleys made up of perruche (flinty clay) and aubius (clayey-limestone). 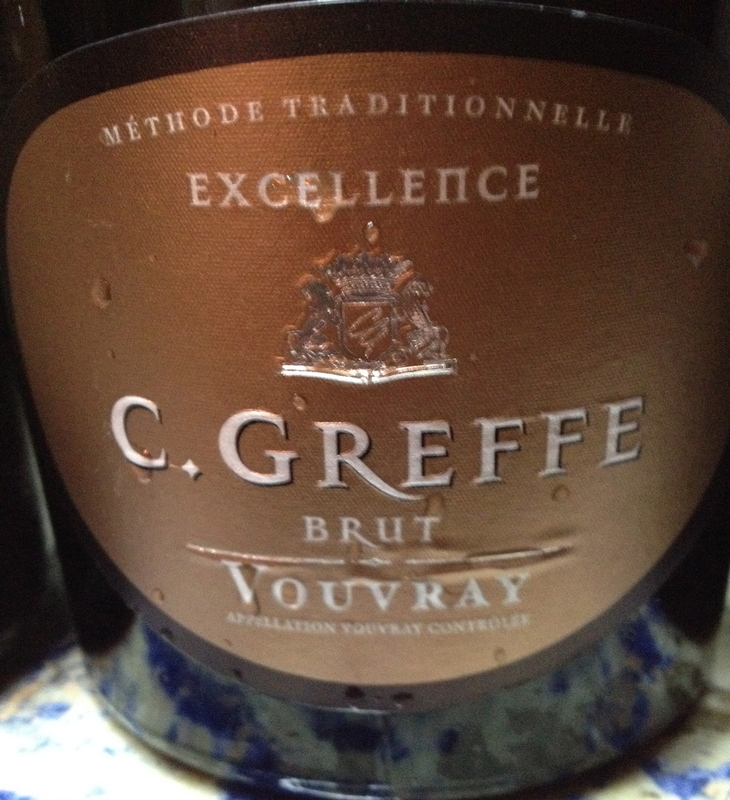 Only Chenin Blanc can be used in the production of Vouvray Fines Bulles. 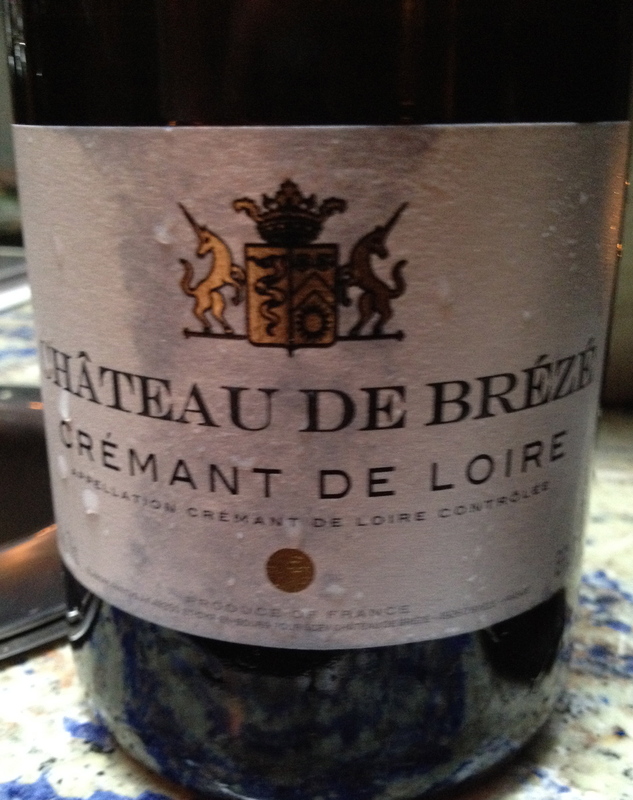 Here Chenin Blanc is known as Pineau de Loire. Christy said that the unique character of the wines comes from the limestone caves in which they are aged. They date from 60 to 90 million years ago. 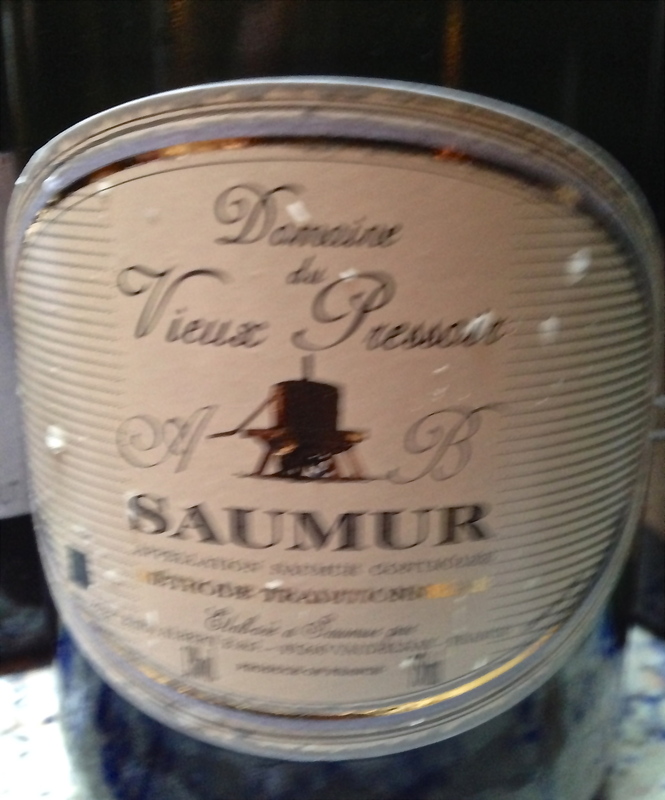 Saumur Brut: Christy said that there is a gentle climate here, and the appellation covers 1,400 hectares, which lie south of the Loire on verdant slopes reaching right up to the town of Saumur. The characteristic element of the sub-soil is the tuffeau, the porous limestone that leaves its mark on the wines. Christy added that here the wine is bottled with the addition of a mix of sugar, wine and select yeasts. After the wine is disgorged a little sugar solution is added and the bottle is recorked and labeled. 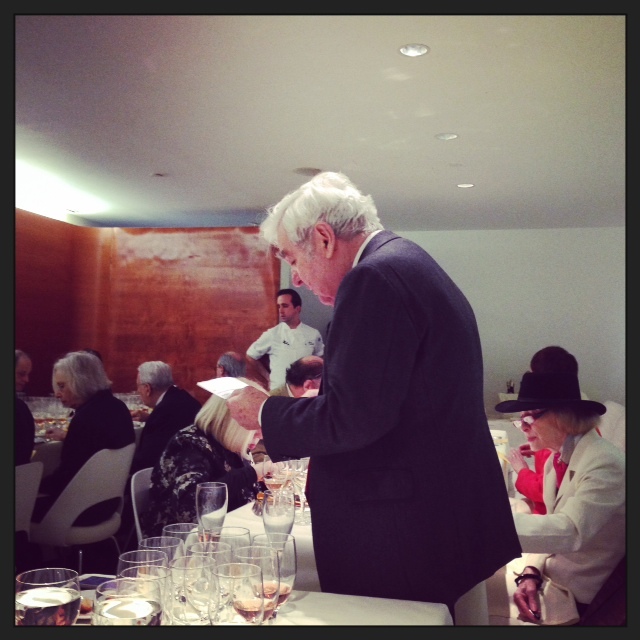 Christy said that the sugar is added to balance the natural acidity in the wines. 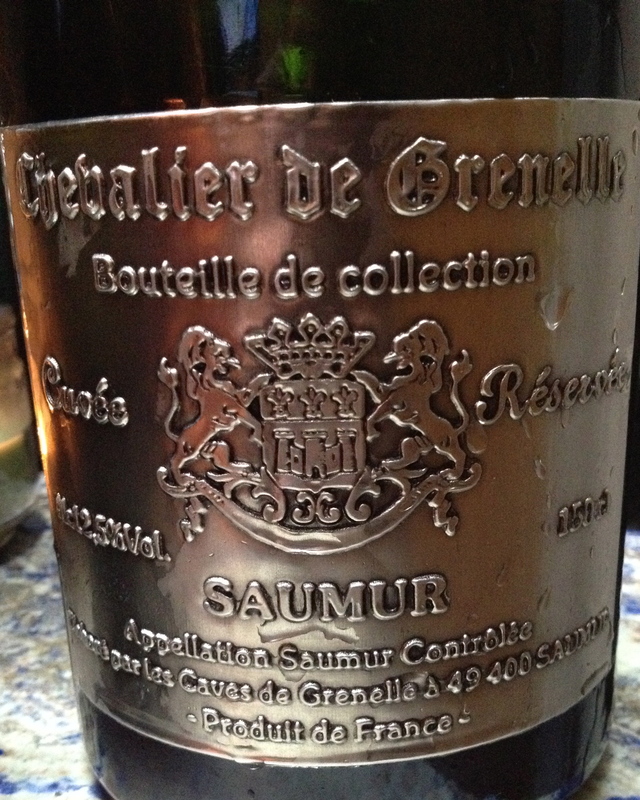 Chevalier de Grenele, Saumur Mousseux, NV in magnum. Caves Louis de Grenelle. Chenin Blanc, Chardonnay and Cabernet Franc with 9 months aging on the lees. Christy said that under the streets of the Loire Valley town of Saumur, miles and miles of chalk caves meander. Carved centuries ago, many were dug with prison labor under the direction of the king of France. There are so many streets underground that they actually outnumber the streets above ground. 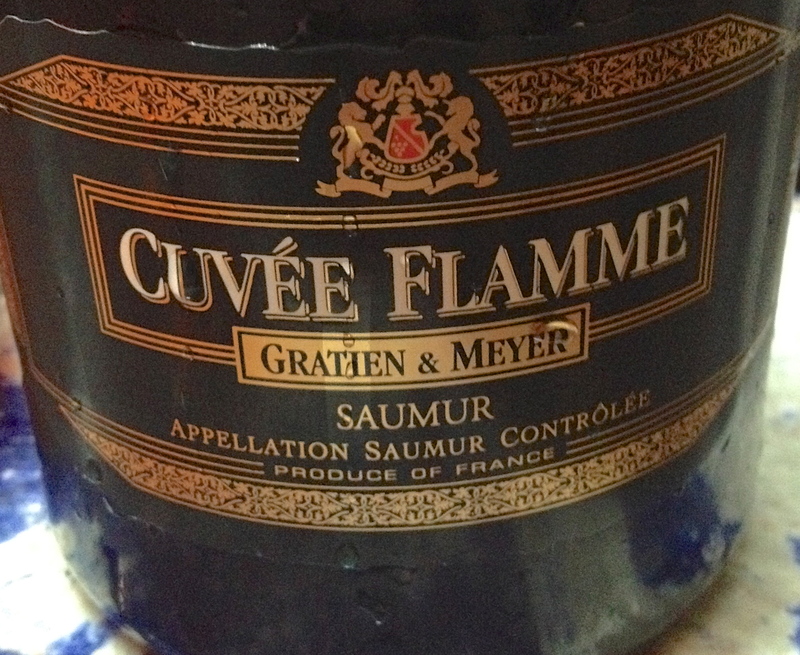 Two and a half kilometers of underground caves belong to the Cave of Louis de Grenelle, the last remaining family-owned property of the major Saumur sparkling producers. All of the bottles produced by the cave are stocked here, under the city, and left to age for several years. Louis de Grenelle has been producing wines in this location since 1859. 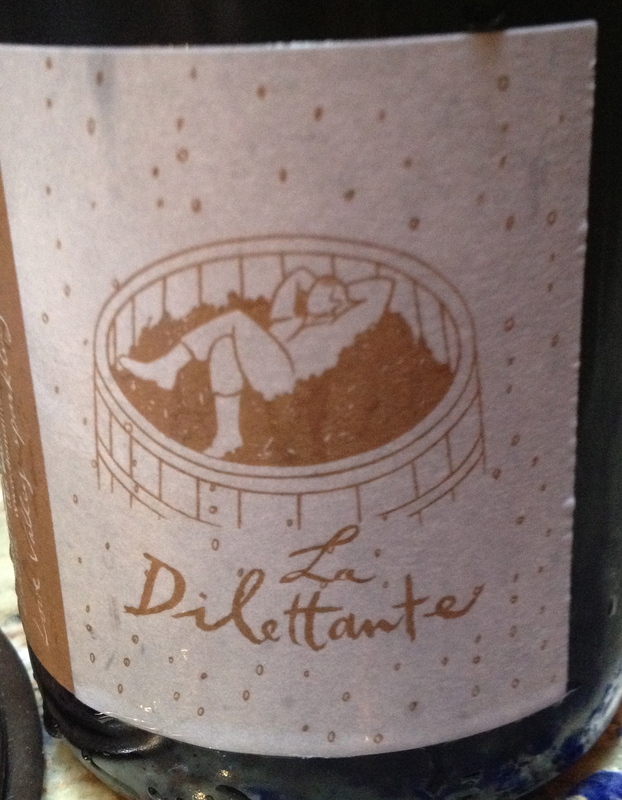 It has hints of hazelnuts, mint and a touch of licorice. 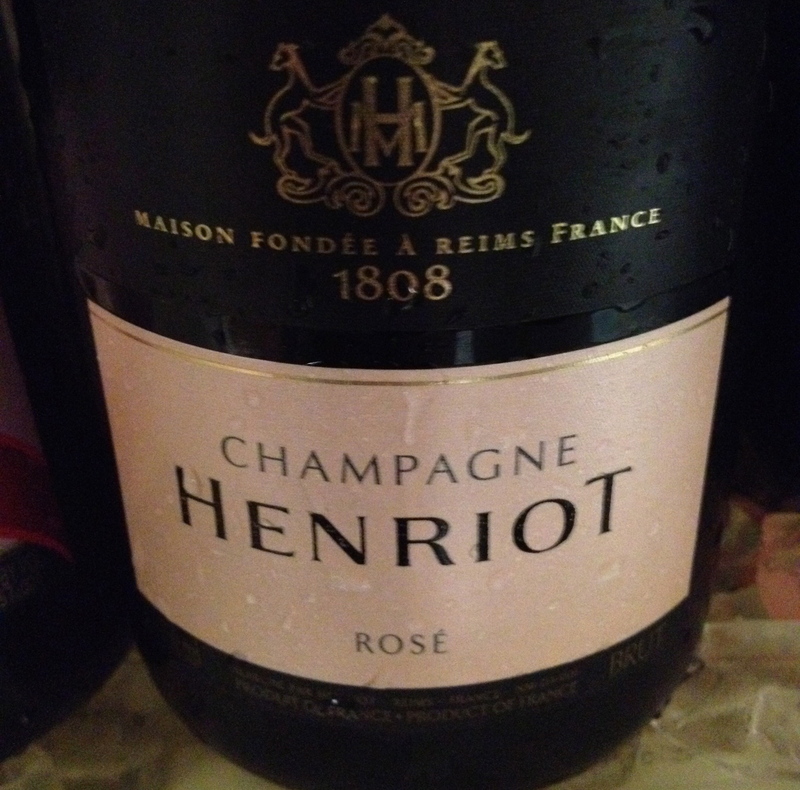 At $38 for the magnum, it is a great buy and one of my favorites at the tasting. 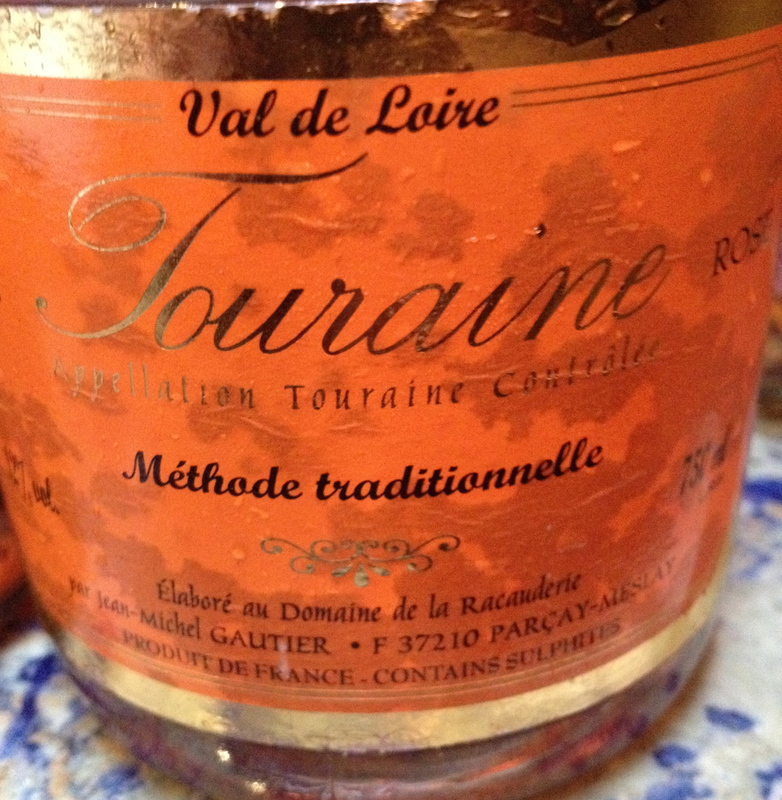 Touraine: This is a large appellation with almost 4,500 hectares from the gates of the Sologne region to the edges of Anjou. It is spread over two administration regions along the Cher and Loire Rivers. 85% of the appellation’s surface area is southeast of the city of Tours on the slopes high above the Cher. The sub-soil is tuffeau from the Paris Basin with clay limestone soils. The terraces along the banks of the Loire are composed of sand and gravel. The banks of the Cher are made up of flinty clay and flinty sand. 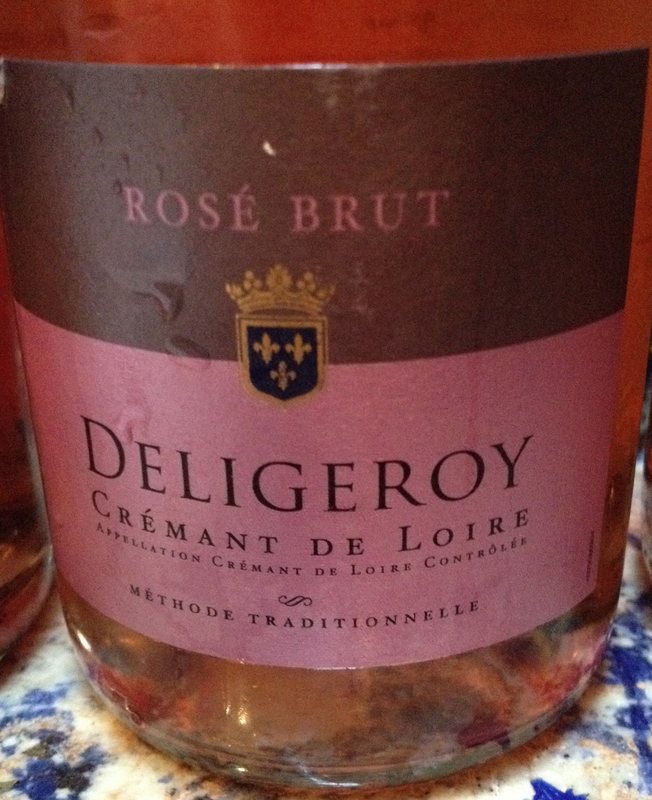 Crémant De Loire: The vineyards stretch out for over 250 kilometers from east to west. In the east there is the terres blanches (white soil) and in the west the terres noires (black soil). I found the wines went very well with the food and most are priced at $20 or less which makes them a very good buy.